The red squirrel is considered the home-maker of the forest. Charismatic, caring and resourceful, it moves about with purpose and is always busy. 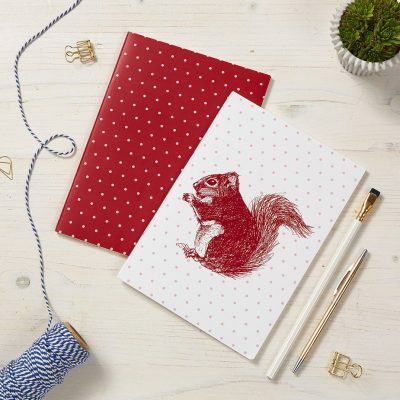 Choose from our selection of cheery red squirrel gifts and homeware, from mugs and aprons to notebooks and weekly planners.